Performance Innovation, LLC is a group of consultants who have been in the field of process management and performance improvement consulting and training for over 20 years. 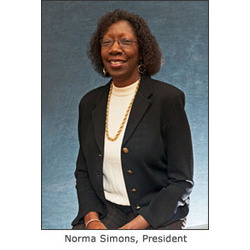 The team is led by Norma Simons, formally the president of Simons-White & Associates, who with her team has made significant contributions in training and consulting, enabling companies to achieve significant bottom-line results. We specialize in hands-on implementation of process improvement initiatives by applying the concepts of lean, six sigma, industrial engineering and principles of leadership development. Our diverse team is able to integrate and customize improvement methods that enable the achievement of lasting business results. We serve automotive, aerospace, education, service, healthcare and other industries wishing to make the transition to enhance performance. At Performance Innovation LLC, our team is committed to assisting our clients to successfully meet the economic and social challenges faced in the workplace.